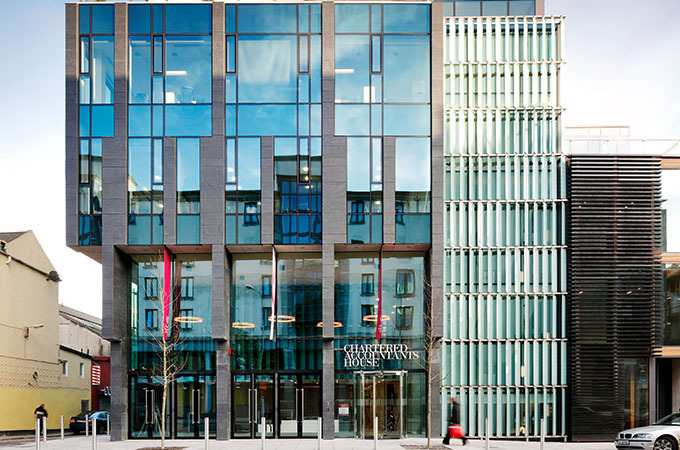 Chartered Accountants Ireland, has 24,000 members and is the largest and oldest accountancy body in Ireland. 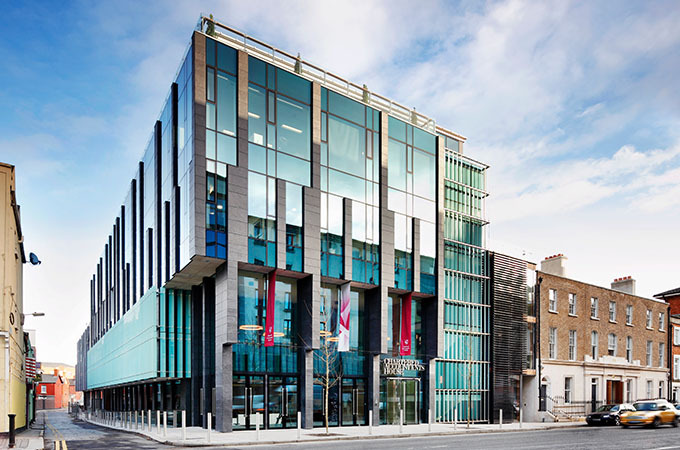 The new city centre multi-storey college facility for the Institute comprises 5,500 m² of educational and administrative facilities including lecture theatres and classrooms, library, canteen, tutorial rooms and offices arranged on 5 floors above ground and 2-3 floors below ground. 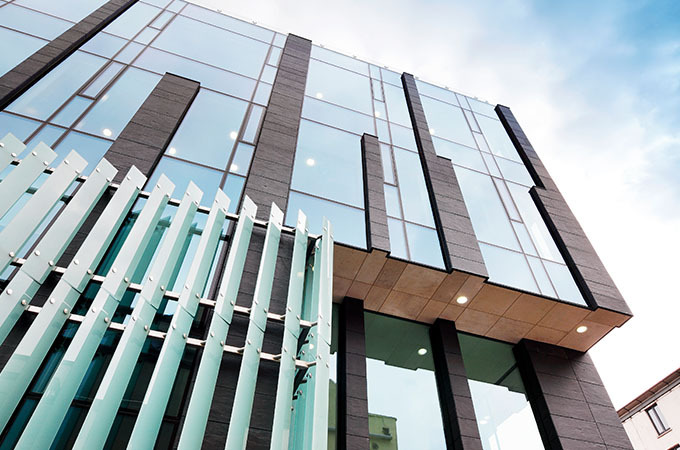 Schuco FW 50+ SG, incorporating Schuco AWS 102 SG vents with ADS 65 SG bonded glass doors with bespoke glass fins brise soleil manufactured from toughened laminated glass with 316 stainless steel housing was used on this project.